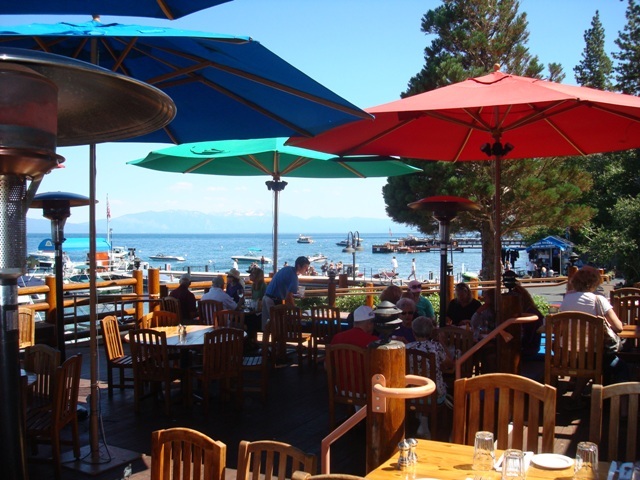 When I go to Lake Tahoe, I almost always take a car ride around the lake, and when I do, I stop at Sunnyside Mountain Grill, in Tahoe City on the West Shore. 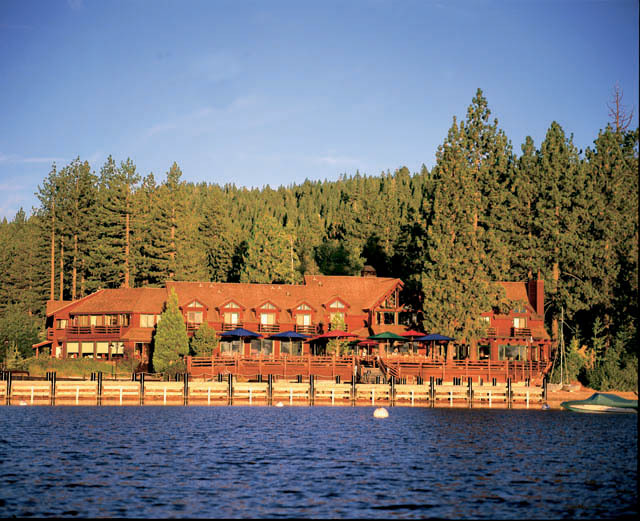 This antique lodge has 23 rooms, overlooking the lake, and a great dining room and outdoor grill. I was very surprised to find that it is part of a chain called TS Restaurants, which owns Duke’s in Hawaii and Huntington Beach (love their Lava Flow and Mai Tai), and Kimo’s in Lahaina. You may wait for a table any time of day (we arrived at 3:30 pm and waited 15-20 min), but the view is incredible. 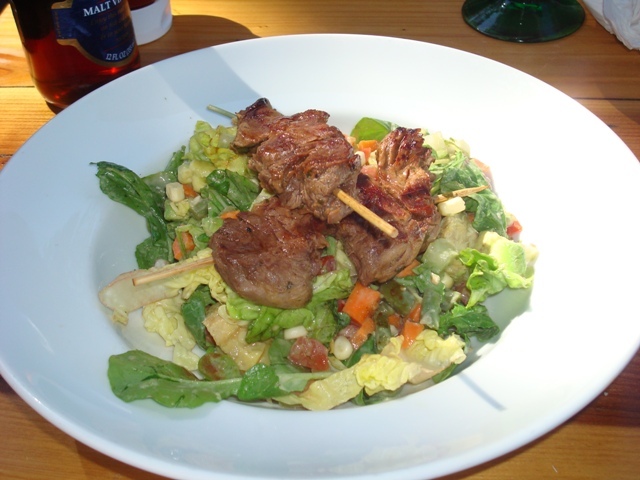 The drinks and food are above average for a grill, service is usually pretty good. 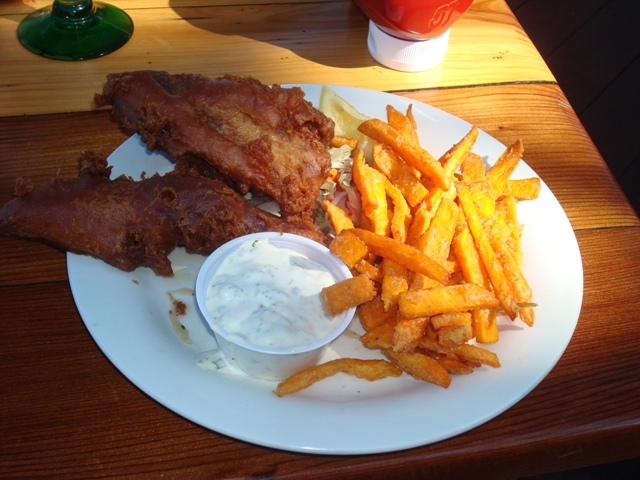 We had fish & chips, a steak salad and the wonderful Hula Pie, which was created at Kimo’s (and I’ve eaten it there too!). 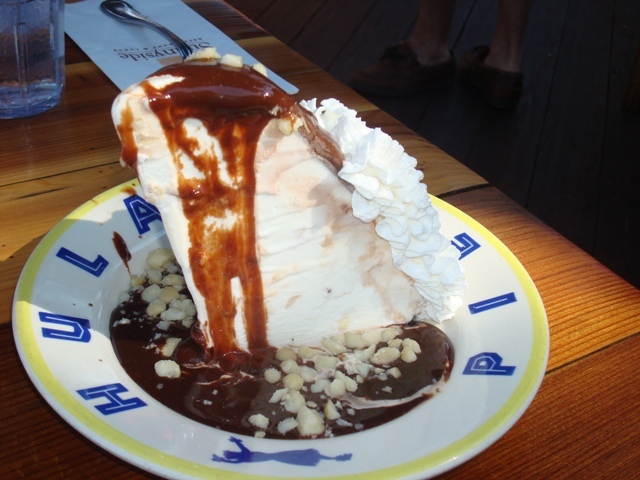 This isn’t mud pie; it is Macadamia nut ice cream in a cookie crumb crust, with really dense fudge, more macadmia nuts, and whipped cream. Yum. I didn’t take an “after”picture, but you could get a really good picture of the plate, if you get my drift. Did I mention that there was a great view! ?